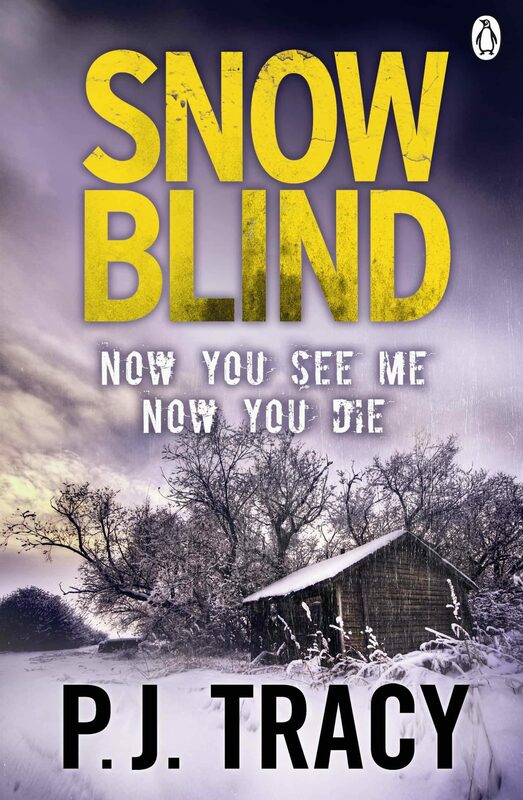 Snow Blind is the fourth book in P.J. Tracy's bestselling Twin Cities series.The Dead of Winter... Minneapolis, winter's first white flakes; a park full of snowmen. But the layers of packed snow hide a ghoulish surprise.First, the bodies of two cops are found inside the snowmen and then a day later, in the countryside to the north, Sheriff Iris Rikker makes a similarly shocking discovery. Soon Detectives Gino and Magozzi are sent north through the worst blizzard Minnesota's seen for years to find what else links the investigations.But some secrets you don't want to uncover. And as the cases unravel, it seems snowmen aren't the only ones with something to hide...P.J. Tracy's cult thriller characters Grace MacBride and Detectives Gino and Magozzi are back for more in the fourth book in the Monkeewrench series. Follow their journeys in the rest of the series:Want to Play?, Live Bait, Dead Run, Play to Kill and Two Evils. Praise for P.J. Tracy:'A fast-paced, gripping read with thrills and devilish twists' Guardian'Outrageously suspenseful' Harlan Coben'P.J. Tracy is about to become a household name' Daily Mirror. Otros ebooks de P J TRACY.